Welcome to our unique Australiana Fabric Collection! This range is no ordinary Australiana fabric collection. Illustrated by our Australian designers including Amanda Brandl and Annette Winter, these designs are inspired by the Australian bush and our fantastic cultural heritage. Australiana imagery is becoming more and more trendy, and these trends are beginning to show up in craft. If you’re seeking to embody the Australian feel in your quilting, we have the range for you. 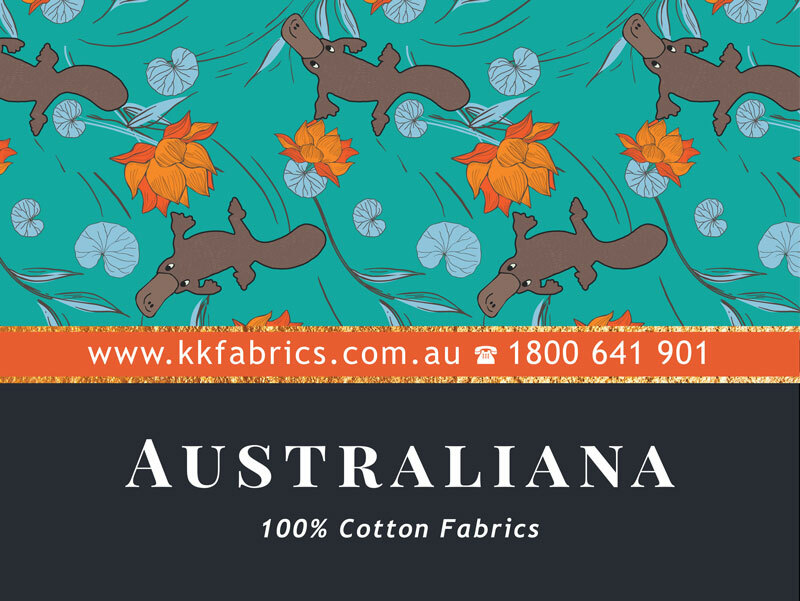 At Kennard and Kennard, we stock a wide selection of Australiana fabric, with a diverse array of prints to suit any project, all at the best prices in our online store. We know you will enjoy sewing and selling this unique new range! Available exclusively from Kennard & Kennard. We hope you enjoy browsing through this brochure. Open fullscreen for best viewing results! Our Australiana fabrics are 100% quality cotton with an even density, little to no stretch and excellent printing. With a wide range of on-trend colours and styles, you and your customers need not look anywhere else. You can see the difference with just one look or touch!